Mahindra Xylo is among one of the top rated MPVs in India in its price segment launched by Mahindra and Mahindra in India in January 2009. Soon after its launch, it became quite popular as an all round MPV among personal as well as commercial buyers. Within 3.5 years of its launch, Mahindra and Mahindra has achieved a significant milestone of selling over 1 Lakh Mahindra Xylo in India. 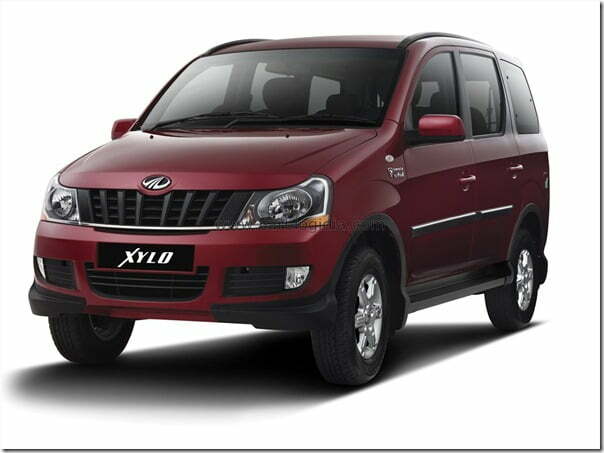 Xylo has been recently refreshed by M&M with over 50 new features added to the new 2012 Mahindra Xylo. We have also done a review of the New Mahindra Xylo here. Some of the key features which make Xylo a preferred choice is its compact form factor, comfortable interiors, good handling and ride comfort, interior features, comfortable seating, refined engine and good fuel economy. Along with all these features, Xylo also offers high reliability of tried and tested Mahindra Diesel Engines which are quite frugal which helps commercial buyers make their fleet and transport business more profitable. The 2012 New Xylo also offers some high end features like flat bed seats, Digital Drive Assist System (DDAS), foldable flight trays, Intellipark Reverse Assist, Airbags, ABS with EBD and surround cool dual ACs, dual mobile charging points etc. The top end E9 variant comes with a powerful 120 BHP mHawk Engine while the lower end variant targeted towards commercial users provide low power engines which are more fuel efficient. There are a total of 5 different variants with 3 different diesel engine options. The exteriors of the new Xylo have also been improved quite well with subtle changes like modifying the front bumpers, grille and headlamps design while keeping the overall share similar to the initial model to retain its brand identity and visual identity. With a practical solution to many types of commuting needs, Xylo fits the requirements of large families, corporate commuters, tour and travel operators and other kind of inter or intra-city commuting for up to 7 people in good comfort. Compared to its two closest Rivals, Maruti Ertiga and Toyota Innova, Xylo has an advantage of featuring more space and comfort than Ertiga and has price advantage over the Innova which is more spacious but also costs higher. We will keep you posted on latest auto news, stay tuned.